Nizoral Anti Dandruff Shampoo,Nizoral Shampoo for dandruff free hair! 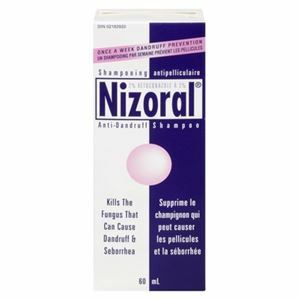 Nizoral Shampoo for dandruff free hair! Nizoral Anti Dandruff Shampoo helps you get rid of itchy scalp and flaky skin. With a nice fragrance and freshness, your hair feels soft, silky and smooth. The shampoo contains Ketoconazole which is effective in treating dandruff leaving your hair voluminous. It can also be used on coloured, treated or gray hair.